As you probably know, Continuous Testing is becoming a more and more important part of the software development life cycle. Since any change to the product needs to be verified prior to going to production, the idea behind Continuous Testing is to make the whole workflow from a single commit to publishing the new release, 100% automated, and as a result - unattended. When it comes to functional testing of web applications, the same rule should be applied. In addition to backend unit testing and performance testing, it makes sense to run a set of automated functional tests on the client side, to ensure that everything is working fine, all elements are visible and operating correctly, rendering speed is acceptable and so on. As of now, the most popular and powerful tool for browser automation is Selenium - a free and open source browser automation framework. 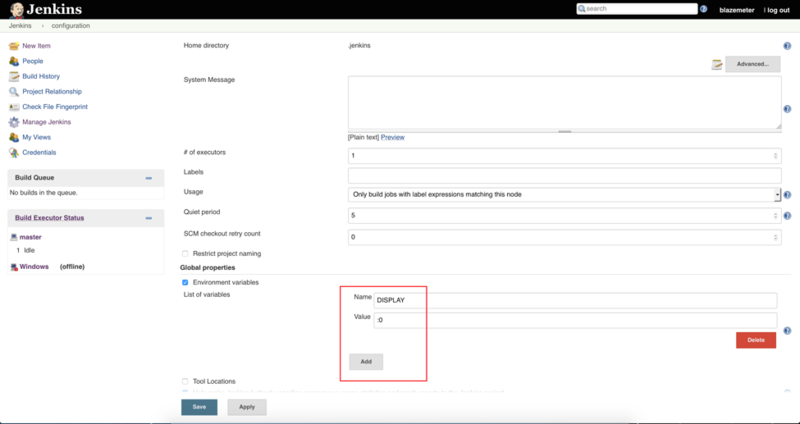 We already covered the point of having Selenium automated tests as a part of the Continuous Delivery process in the How to Automate Testing Using Selenium WebDriver, Jenkins and Allure post. Today’s article is about running Selenium tests in “headless” mode, i.e. when no browser window is being displayed. 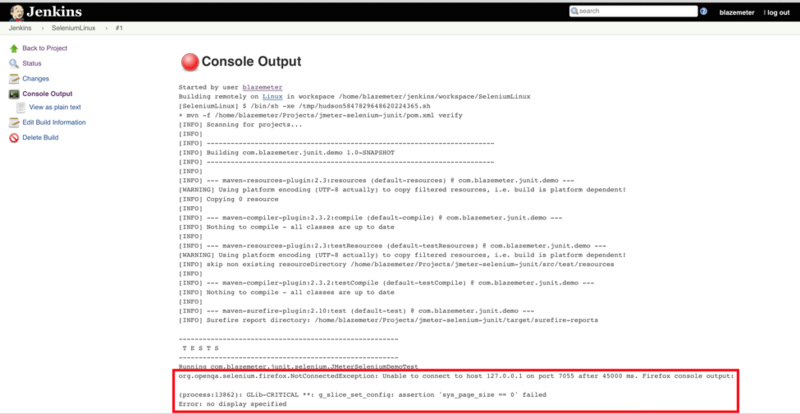 Today you will learn how you can launch Selenium tests when Jenkins is in “headless” mode. - PhantomJSDriver - wrapper for PhantomJS, so called “headless WebKit”, non-GUI browser engine. By the way, WebKit is under the hood of such browsers as Chrome (and derivatives), Safari (including mobile versions), Dolphin browser (Android mobiles), etc. So the remaining part of the article will cover running Selenium tests using real browsers in headless mode on Jenkins nodes. Now let’s see how this test can be executed in Jenkins on different operating systems. In general, running Selenium tests on Windows is not possible. The Windows operating system family always has GUI, and even Windows Core Server deployments are capable of running GUI applications without any extra configuration (you just need to get the GUI application somehow using the command-line, for example using Invoke-WebRequest PowerShell cmdlet). However, it is possible to run your test on behalf of a different user. This way, you can continue working while the test is being executed in the background, without having to worry that your normal keyboard and mouse activity will break the test, and vice versa. - You will get failover and resilience if the machine is restarted after installing updates, if there is a power outage or if the Jenkins process dies for some reason. - The process will be run under a different user account, for instance Local System, so the browser window won’t appear in the current session. As you can see, no Firefox browser window is present, but the test execution is successful. The BlazeMeter page title, which is “JMeter and Performance Testing for DevOps | BlazeMeter” is being printed to the build log. N.B. in some cases (for example if you need to use Internet Explorer browser or other applications requiring interacting with the Desktop) you may also need to set java.awt.headless Java system property to “false” for Jenkins master and/or slave processes. As can be seen from the bottom of the build log, Jenkins failed to start the Firefox browser. Being a GUI application, Firefox requires a “display” to run at. Linux operating systems use display server to draw windows, receive input and react with output. Any GUI-based program requires something called DISPLAY - a screen (or multiple screens) where output is rendered. If the Linux installation doesn’t assume GUI, you can use X virtual framebuffer to mock up the missing display. If you don’t have the X virtual framebuffer installed, i.e. if Xvfb returns the “command not found” message, you will have to install it from your Linux distribution repositories. The remainder of the command after 0 is to suppress Xvfb output. It prints quite a lot of noise to the command line, so if you add >& /dev/null & postfix you will see only Xvfb process id (14169 in my case). The next step is to “tell” Jenkins to use this Display 0 for launching Firefox. On Linux systems it can be done by setting DISPLAY environment variable so you can either refer your Linux distribution documentation to learn how to set it, or do it on Jenkins level, for example under the Manage Jenkins -> Configure System -> Global Properties -> Environment Variables section. To get to the configuration dialog click on the gear icon next to the node name. Once you have launched the X virtual framebuffer and set up DISPLAY environment variable matching virtual display number, the build should succeed and you should see the BlazeMeter main page title in the build log. As MacOSX is a UNIX-based operating system the approach should be the same as for Linux. X window server implementation for MacOSX is XQuartz, however you may have to recompile it to support Xvfb feature and the browser you’re intending to use so it would use X11 server instead of Aqua. 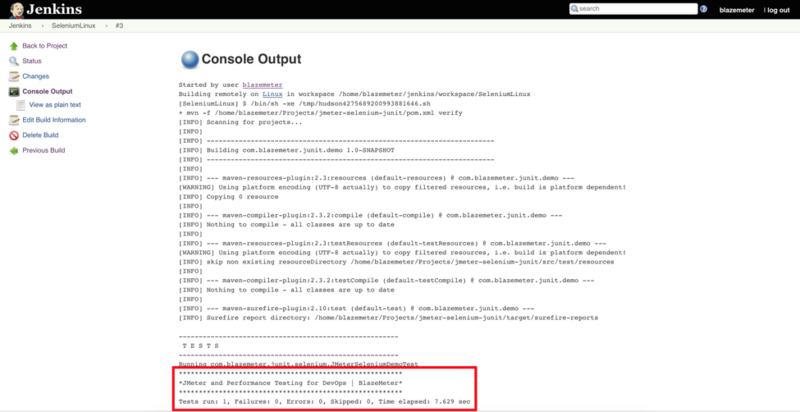 If you want to combine your Selenium functional tests with JMeter load tests, it can be done via WebDriver Sampler. I believe there is no need to say that BlazeMeter was, is and will be 100% JMeter-compatible, including any plugins. If you don’t need the integration, just Selenium is also supported. Check out the Webdriver Test page for more details. You also may be interested in viewing our webinar, Driving Headless Chrome with Selenium and Python. Finally, you can request a live 1-on-1 demo of how to leverage tools like Taurus, Selenium and Jenkins with BlazeMeter's performance testing.